The Arts and Crafts movement began in England in the 1880s as a protest against the excesses of Victorian architecture. Designer William Morris and others decided to replace Victorian fussiness with well-crafted wallpapers, tapestries, furnishings, and homes noted for their natural beauty, simplicity, and usefulness of design. While professional Arts and Crafts architects in Great Britain catered to a small, upper-class clientele, in the United States the movement led to a widespread middle-class demand for affordable and attractive bungalows. 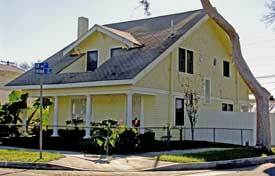 For many Americans, the bungalow seemed like the perfect house. The Arts and Crafts movement was further popularized by such style magazines as House Beautiful and The Craftsman. The period for this style ran from 1890 to 1920. The bungalow house also involved a lifestyle and, unlike some other styles, often included Mission furniture, carpets, wallpaper, and accessories designed to achieve the complete Arts and Crafts look. While wood and shingle constructed bungalows may have seemed an unlikely architectural style in an area infested by termites and dry-rot, almost every town in California that grew during this period has its collection of bungalows. Los Angeles County is the bungalow capital of the world. 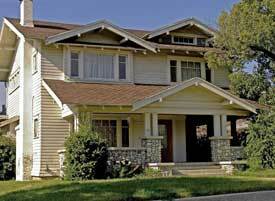 The Greene and Greene designed Craftsman Bungalows in Pasadena are considered the apex of this style. 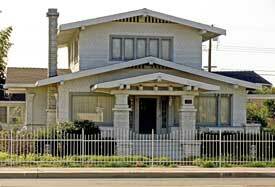 The California and Craftsman Bungalow was very popular in Fullerton from 1915 to 1925. Many are located in the historic housing areas of the city. Good examples of this style in Fullerton include the Livingstone House (1908) at 117 W. Valencia Drive; the Jacob Yaeger House (1910) at 200 E. Elm Avenue; the Fuller House (1913) at 150 Hillcrest Drive; the Edward K. Benchley House (1915) at 604 N. Harbor Boulevard; the Stuelke House (1916) at 502 E. Chapman Avenue; the residence at 147 E. Ash Avenue (1915); the Clarence Spencer House (1917) at 1400 W. Orangethorpe Avenue; the Mary Spencer House (1917) at 1520 W. Orangethorpe Avenue; the Lyon House (1922) at 2223 E. Commonwealth Avenue; and the Otto House (1925) at 126 N. Balcom Avenue. he Arts and Crafts Movement in California: Living the Good Life. New York: Abbeville Press, 1993. Connolly, M. Caren. Bungalows: Design Ideas for Renovating, Remodeling, and Building New. Newtown, CT: Taunton Press, 2002. Duchscherer, Paul. 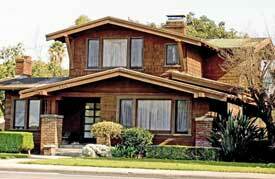 The Bungalow: America 's Arts and Crafts Home. New York: Penguin Studio, 1995. Lancaster, Clay. 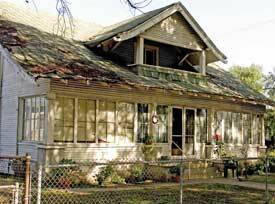 The American Bungalow, 1880-1930. New York: Dover, 1995. Smith, Bruce. Greene & Greene: Masterworks. San Francisco: Chronicle Books, 1998. Toward a Simpler Way of Life: The Arts & Crafts Architects of California. Berkeley: University of California Press, 1997. Wilson, Henry L. California Bungalows of the Twenties. New York: Dover, 1993.